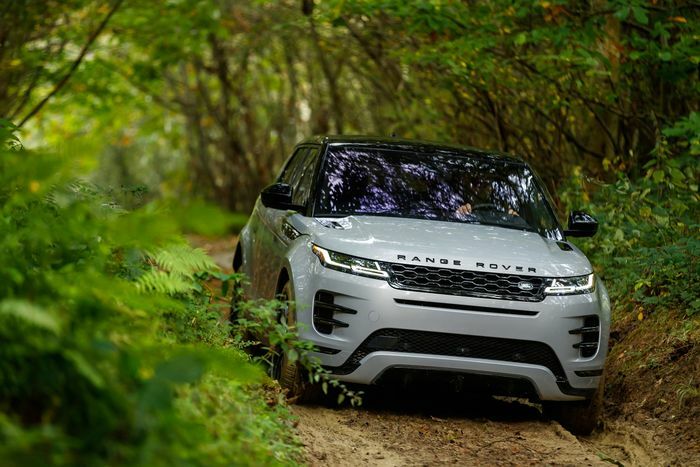 Land Rover has lifted the embargo on the new Range Rover Evoque, so now we can tell you about all of its sterling off-road capabilities that owners will never use. The styling of the 2011 original has been left largely unchanged in principle, but the lower grille now has more body-colour trim around it and the original fog light arrangement has been swapped for more aggressive vents ahead of the front wheels. While there’s no three-door this time, the silhouette and profile are very familiar. 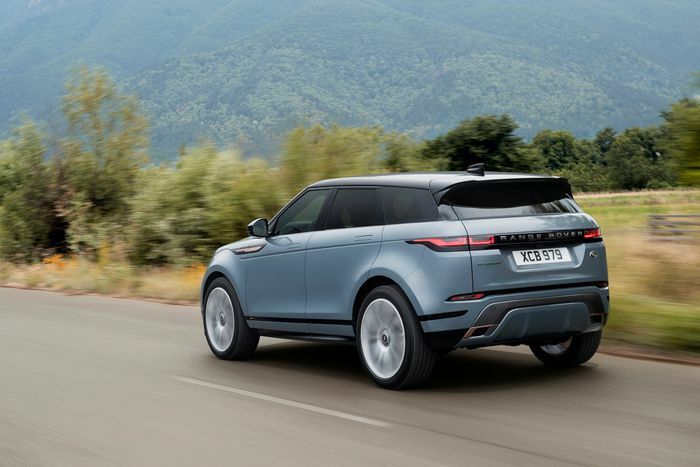 Arguably the new Evoque has taken-on something of the Velar around its rear end, which is no bad thing. Trademark thin LED headlight clusters remain, with Matrix LEDs part of a special range-topping equipment line called First Edition. Standard wheel sizes range from a positively shameful 17 inches to 20 inches; the minimum for buyers who prioritise style. The options list includes 21s. All engines are four-cylinder apart from the three-pot fitted to the new plug-in hybrid version, for which technical details haven’t yet been released. Prices will start at £31,600 for the ‘D150’ 148bhp diesel with front-wheel drive and a manual gearbox. It’s the only model without JLR’s nine-speed automatic or permanent all-wheel drive. A £3500 premium buys the gearbox and drivetrain upgrade, at which point a further £750 raises power to 177bhp in the ‘D180’. There’s also a ‘D240’ 236bhp diesel for £38,600. On the petrol side the range starts with the £35,950 ‘P200’ 197bhp Ingenium four-pot. The same engine features in ‘P250’ and ‘P300’ guises with 245bhp and 296bhp respectively. First Edition cars come with either the D180 diesel or P250 petrol and cost an eye-watering amount more than the standard cars. The gap between the base D180 and the First Edition version is £13,700. Trim grades span the unnamed ‘standard’ level, S, SE, HSE and First Edition. A separate sporty trim package called R-Dynamic can be added to all except First Edition for £1500. 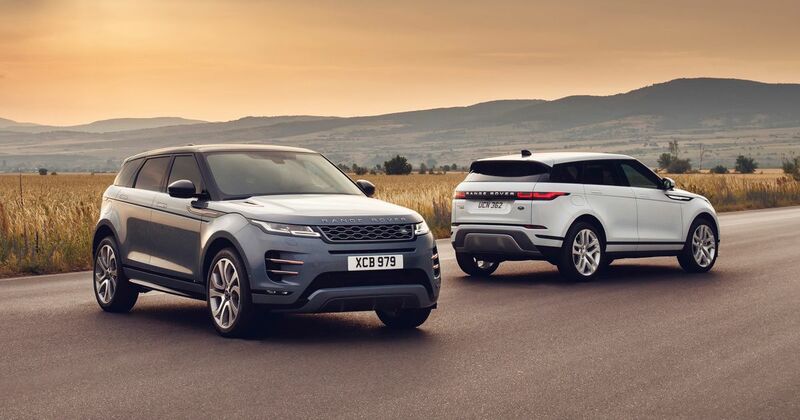 Among the standard kit is a rear camera, front and rear parking sensors, cruise control, a ‘driver condition monitor,’ eight-way heated front seats and a heated windscreen. Also standard is impressive off-road capability. 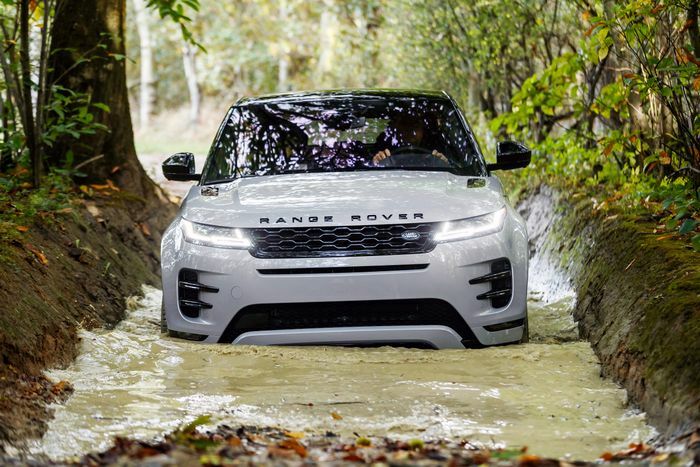 You have to feel for the Range Rover engineers who work so hard to make the Evoque so handy in the muck when no one other than the occasional journalist will actually present one with an off-road challenge that you couldn’t complete in a Ford Fiesta. 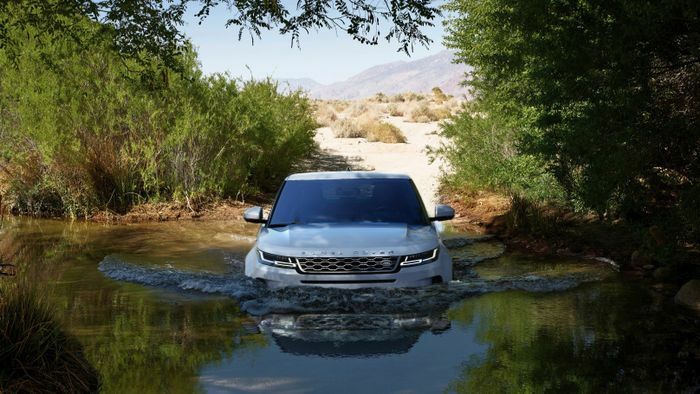 The new Evoque will wade up to 600mm, 100mm more than before, and what’s more, sensors will actually tell you when you’re at that depth. 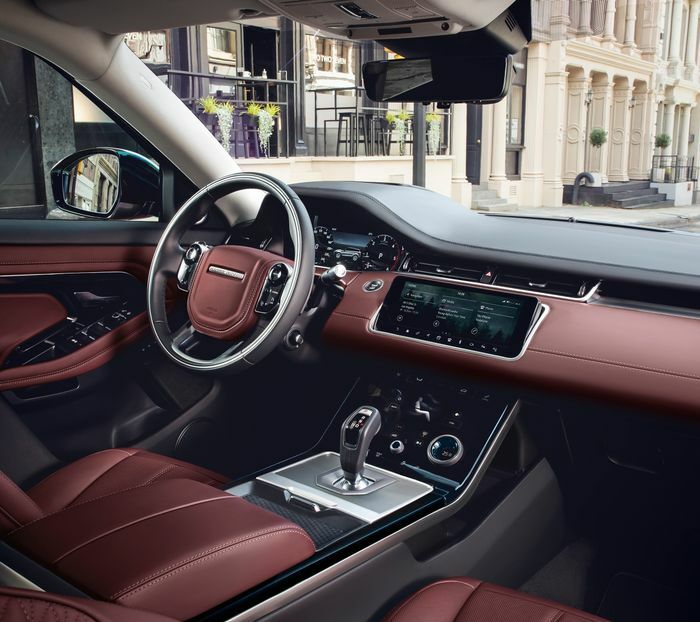 Another handy touch is ClearSight Ground View, a technology that evolved from Land Rover’s transparent bonnet concept. Terrain Response 2 is now standard on all automatic cars, offering Comfort, Sand, Grass-Gravel-Snow and Mud & Ruts modes. There’s now an Auto mode where the car will pick what terrain it thinks it’s on. Alongside all that are All Terrain Progress Control, Low Traction Launch, Hill Descent Control, brake-based torque vectoring, steel suspension and handy touches like a brake pad wear indicator. On the inside things can get as luxurious as your wallet is willing to finance. Leathers in various choices of colour cover most of an interior that’s dominated by three large digital screens; one acting as the instrument cluster and two more as the centre console. There’s also a full-colour head-up display. The practicality of glass-covered touch-screens is yet to be proven, with fingerprints an eternal problem and big question marks over their ease of use on bumpy roads. Naturally there’s a 4G WiFi hotspot for up to eight devices and six USB ports throughout the, err, five-seat car. Click-on tablet holders are also available to keep the rear passengers quiet. 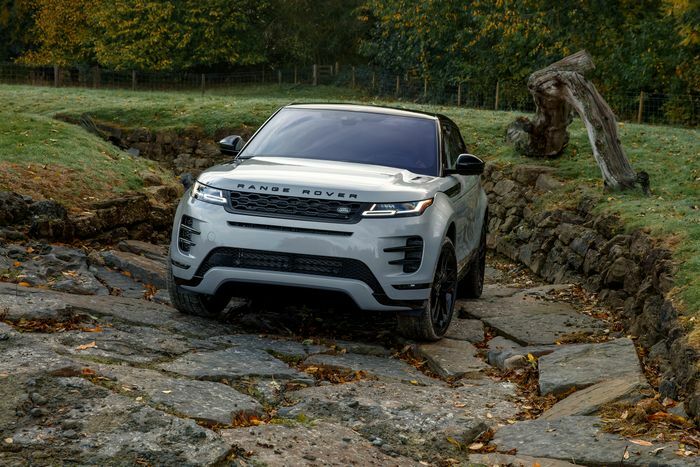 The new Evoque will arrive in showrooms next Spring.